The Biological Use Authorization (BUA) process grants approval for work with biohazards. If your research involves biohazards, it must be reviewed and approved by the Institutional Biosafety Committee (IBC) and Environmental Health and Safety (EH&S) to ensure safe handling of biohazardous material. Biological Use Authorization (BUA) is the process for reviewing and approving research involving biohazards including recombinant or synthetic DNA/RNA. 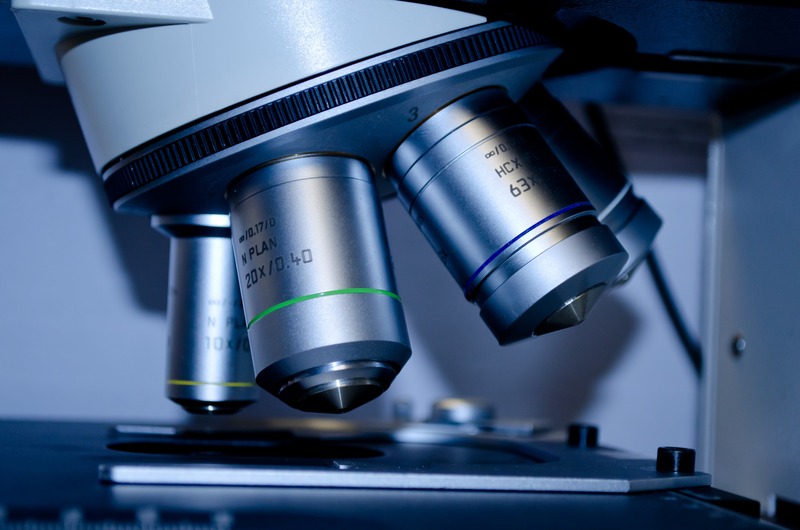 If your research involves biohazards, it must be reviewed by an EH&S biosafety officer and the Institutional Biosafety Committee (IBC) to ensure that biohazards are handled safely from start to finish. The National Institutes of Health (NIH) mandates that our institution establish an IBC for review and approval of all research involving recombinant DNA. IBC review and approval for research with biohazards is required by the UW Administrative Policy 12.3. Refer to the IBC Project Review Flow Chart and Experiments Covered by the NIH Guidelines. EH&S screens the BUA application for completeness and accuracy. Incomplete applications may be returned to you, which could potentially delay IBC review and approval until the following month’s meeting. Work that falls under Sections III-E and III-F of the NIH Guidelines, or that does not fall under the NIH Guidelines, will be reviewed and presented to the IBC by an EH&S biosafety officer. Work that falls under Sections III-D of the NIH Guidelines will be assigned to an IBC primary reviewer, who will present an individual review of the project at an IBC meeting. Work that falls under other sections of the NIH Guidelines, or certain special projects such as BSL-3 research, will be assigned to an IBC subcommittee for review. These projects may require additional time for review. All IBC members will have the opportunity to review your BUA application. An EH&S biosafety officer will work with you to obtain approval. The biosafety officer will inspect your lab to confirm to the IBC that your laboratory and practices are in compliance with the requirements for your research. You will be required to correct any deficiencies prior to obtaining approval. If your project is approved by the IBC, you will receive a Biological Use Authorization (BUA). This approval letter must be reviewed with your staff and made available in the lab. Download and complete the Biological Use Authorization (BUA) application. Download and complete the Request for Change to BUA application. Use the Frequently Asked Questions (FAQs) as needed to help you fill out the application. Review of the application typically takes four weeks. Submit the BUA application four weeks prior to the meeting in which your application needs to be reviewed. See BUA Application Submission Deadlines for the meeting schedule and associated deadlines. Review of clinical trial BUA applications may require more time. Submit the Clinical Trial BUA application at least four weeks prior the meeting in which your project needs to be reviewed. During times of high volume, reviews for clinical trials may take up to six weeks. See BUA Application Submission Deadlines. If you have any questions about the approval timeline for your submission, contact the IBC coordinator at ehsbio@uw.edu. If your research involves the use of biohazards in animals, submit your BUA application concurrently with the Institutional Animal Care and Use Committee (IACUC) protocol. Biological Use Authorization is required for all research involving biohazards, including recombinant or synthetic DNA/RNA. Submission of the BUA application initiates the review process. You may need to obtain approval from the IBC and EH&S before starting your research. Be sure to review the experiments covered by the NIH Guidelines to determine what level of approval is required for your work. Biological Use Authorization (BUA) expires after three years or concurrently with the IACUC approval. You can apply for a renewal at that time. You will receive an email notification when your expiration approaches. Changes to agents or locations require an update to your BUA. Submit a Change to BUA application to obtain approval for changes. Use of biohazards in animals requires IACUC approval. BUA approval for biohazards in animals requires review of the accompanying IACUC protocol by an EH&S biosafety officer. I’m doing research with kits or vectors that can be purchased online. Do I need a BUA for this work? Yes, research with recombinant DNA requires approval by the UW IBC, even for commercially available kits and vectors. You need to submit a BUA application or Change to BUA for work with recombinant DNA. My research is not funded by the NIH. Do I still need IBC approval? Yes, IBC approval is required for all research with biohazards, regardless of the funding source. The NIH mandate for IBC approval applies to all research at an institution that receives any NIH funding. How should I go about filling out a BUA application when the lab space is not yet ready? Fill out the form as best possible and submit. Once received, a biosafety officer will work with you as you set up your laboratory. The application can be updated when laboratory locations are finalized. Do I need to submit a BUA application for a new IACUC protocol even though the biohazards have already been approved previously? Yes. All new IACUC protocols require an associated BUA. IACUC amendments also require a Change to BUA if it has additional biohazards used in animals. How do I go get approval for research with human embryonic stem cell lines or human induced pluripotent stem cells (human iPS cells)? Submit a BUA application or BUA change application. You’ll also need to obtain approval from UW Embryonic Stem Cell Research Oversight (ESCRO) at https://www.washington.edu/research/escro/ . I’m doing all my research in a core facility, not my own laboratory. Do I still need a BUA? Yes, you need a BUA for your research with biological agents, even if performed in a core facility.